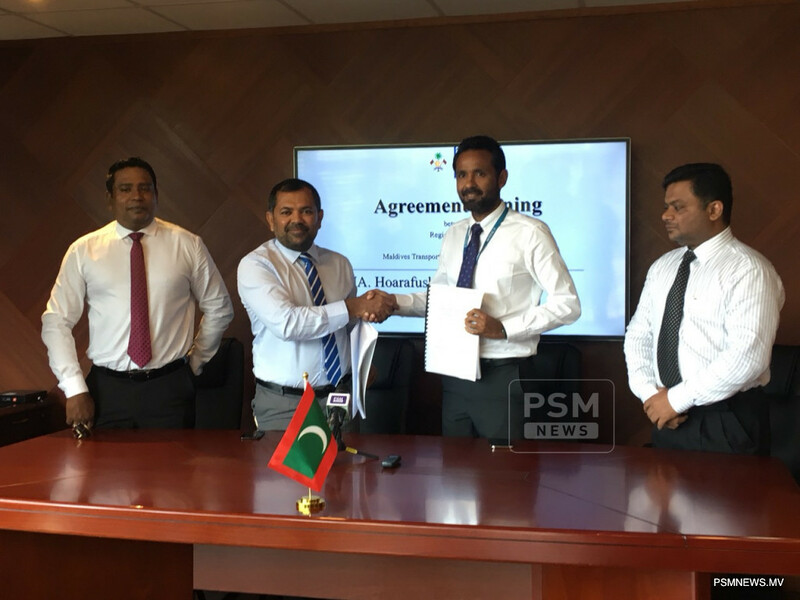 Government of Maldives has contracted Maldives Transport and Contracting Company (MTCC) to reclaim land for Hoarafushi airport development project. The agreement was signed by Minister of Tourism Moosa Zameer and Chief Executive Officer of MTCC Ibrahim Ziyath. The airport is to be developed in an area of 16 hectares in Maafinolhu near Hoarafushi and would have a 1.2 kilometre runway. The project is expected to cost over USD 4 million and will be funded from the state budget. Speaking after signing the ceremony, Tourism Minister Zameer said the northern atolls have faced numerous transportation issues which has resulted in a negative impact on the tourism industry. The Minister expressed the development of the Hoarafushi Airport will solve the transportation issues and boost the tourism sector in the northern atolls of Maldives. Hoarafushi of Haa Alifu Atoll has a population of over three thousand four hundred people.